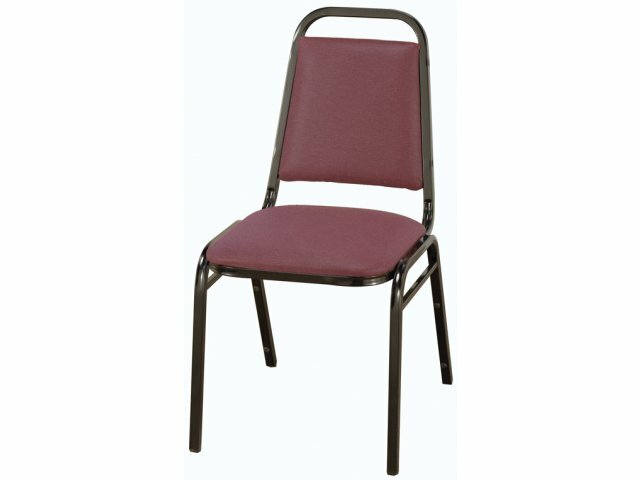 This custom stacking chair is the right choice if you are looking for an economical stacking chair that is both durable and comfortable. The 18-gauge square steel tubing is designed to withstand heavy usage on an ongoing basis. The seats have foam padding and the plush upholstery is treated against stains to ensure that these seats keep looking like new even after years of use. 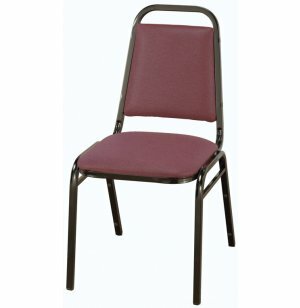 Available in a variety of colors with sturdy backing for support, these chairs look and feel good. The real utility is that they are made as stacking chairs. 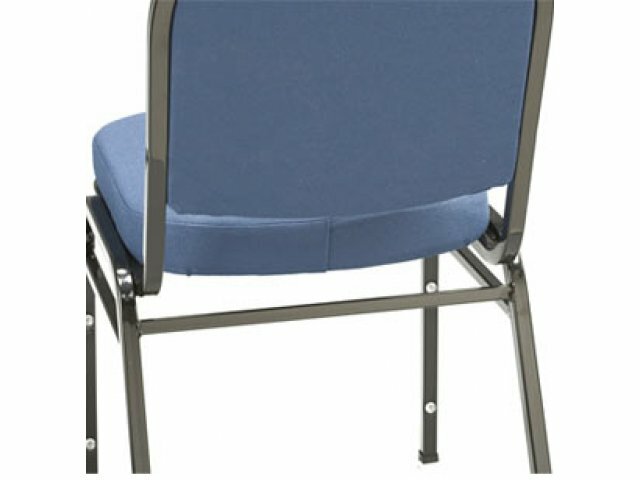 Stackable chairs make it very easy to set up and clean up before and after events. 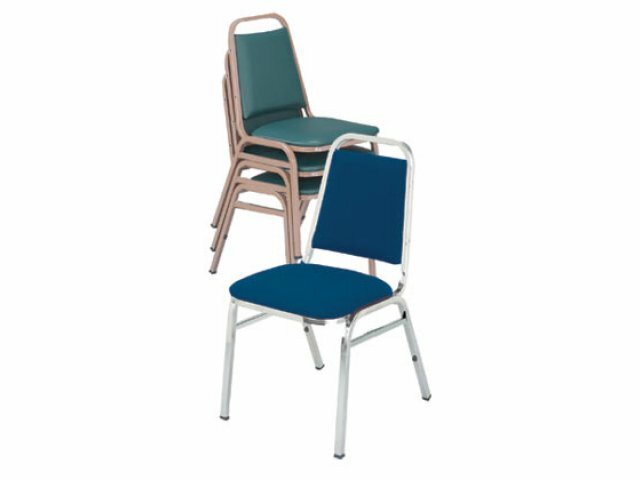 Stacking bumpers and heavy duty glides help to prevent damage to chairs and floors when you move and stack these chairs. Rated to seat anyone up to 250 pounds, these seats are appropriate for the vast majority of people.